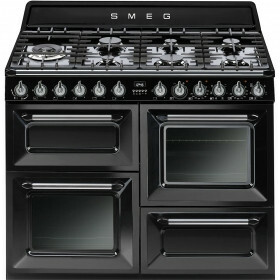 This is the Gloss Black Smeg range cooker from the Victoria range. 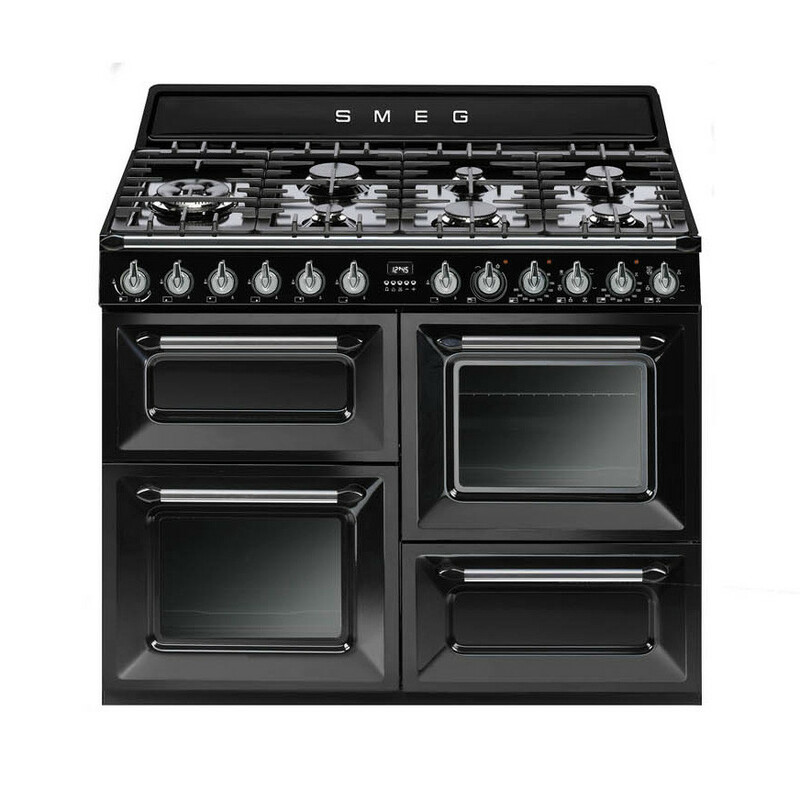 This cooker comes in a unique stand out design that will work perfectly with traditional styled kitchens. With 4 separate cavities all offering different qualities and a 7 burner gas hob this cooker will suit all of you cooking needs giving you great options in the kitchen.